Designed, built, and professionally managed by one of the most respected apartment developers in Florida, Rath/Harper & Associates, Bellamay Grand’s Gainesville apartments are the result of years of research and innovation. 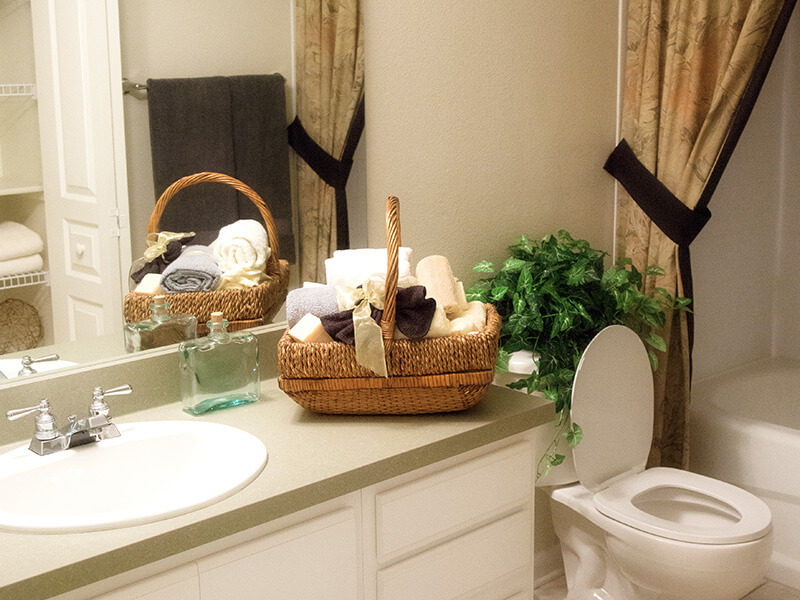 Our one bedroom, two bedroom, and three bedroom apartments for rent in Gainesville, Florida are spacious, fashionable, and come equipped with all the conveniences you have come to expect from luxury living. 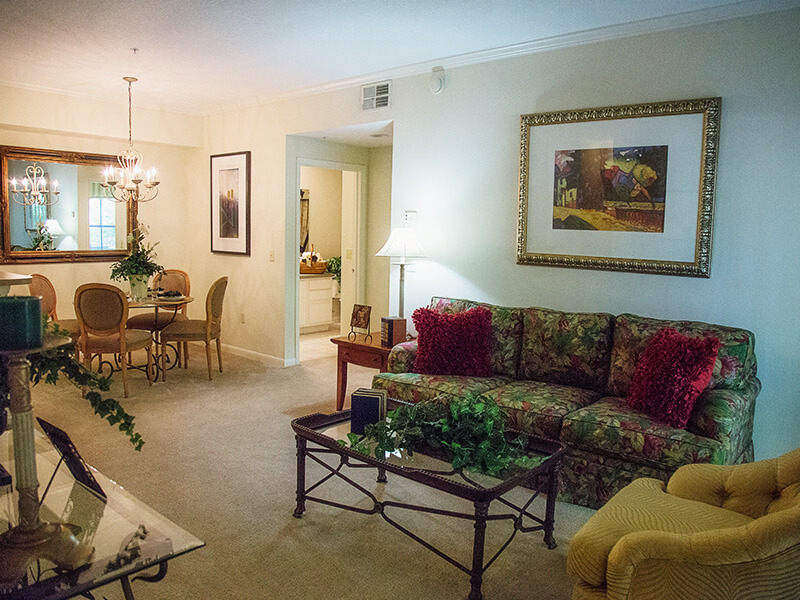 While thousands of Gainesville apartments are available to rent, you will not find any that compare to Bellamay Grand. 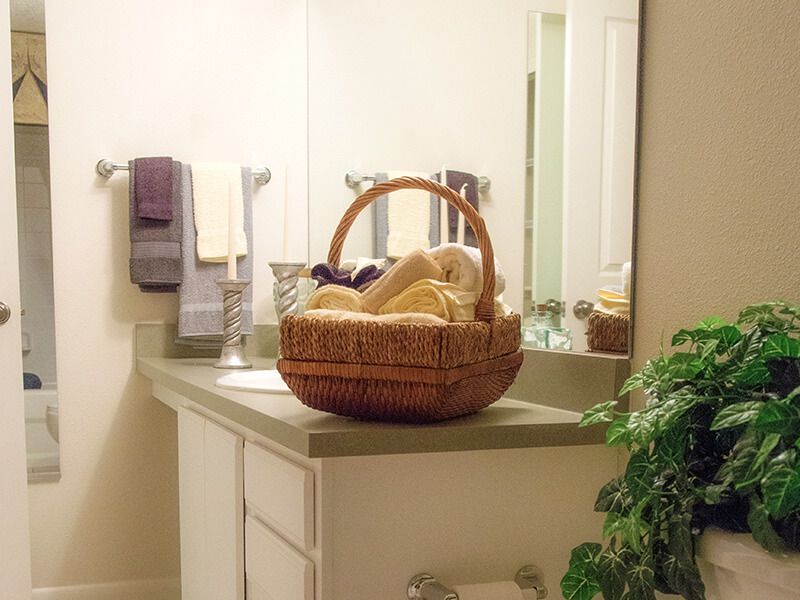 From our designer-coordinated color schemes to our crown molding to our state-of-the-art appliances, Bellamay Grand’s apartments in Gainesville, FL offer even more special touches than most single family homes. But the elegance does not stop there. 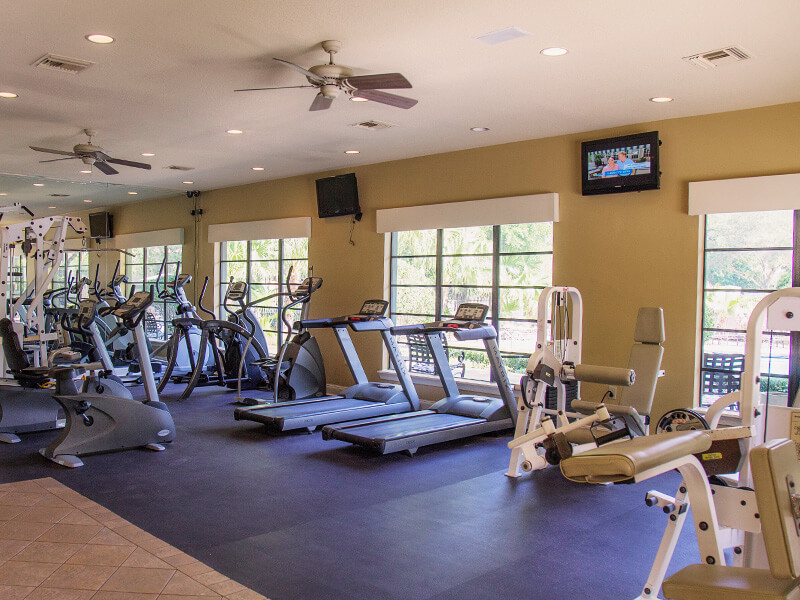 Bellamay Grand also has an abundance of community amenities such as a clubhouse with pool, theater room with surround sound, fully equipped fitness center, indoor basketball court, business center, and more. Situated less than 10 miles from the University of Florida yet also convenient to Santa Fe Community College, an A-rated elementary school, and many other important locations, our apartments are some of the most reasonably priced Gainesville, Florida rentals available. 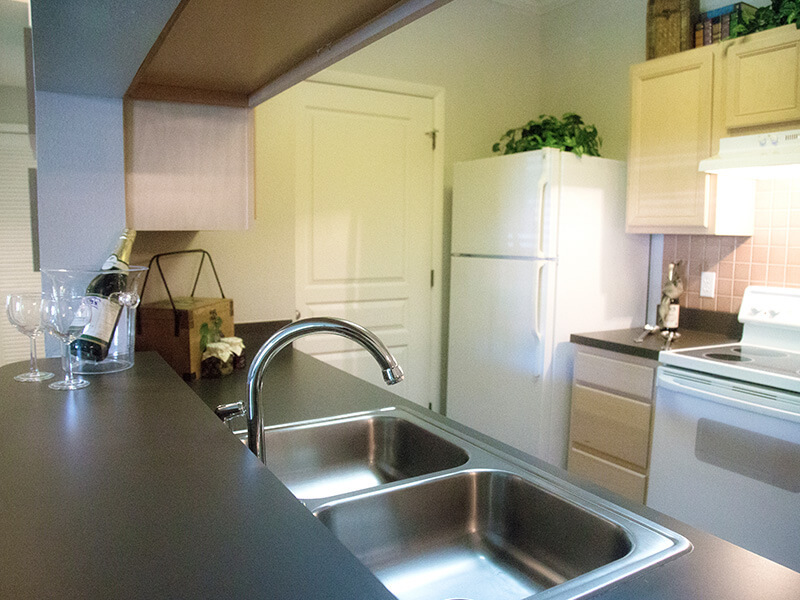 In addition to our reasonable rent rates, you can also save money on our Gainesville apartments by asking us about our new move-in rent specials. Anyone who is looking for apartments in Gainesville, Florida should contact the leasing office at Bellamay Grand Apartment Homes. Please call us at 352-331-2966, fill out our online form, or visit us for a tour of our one-of-a-kind Gainesville apartments. We hope you will choose Bellamay Grand as your next home. Bellamay Grand is proud to offer lease terms that can accommodate your specific needs. Our leases are available for 7, 8, 9, 10, 11, and 12 months, and our leasing agents are here to help you determine which term will be the best choice for you. We have one bedroom, one bedroom with den, two bedroom, and three bedroom floor plans available at Bellamay Grand. 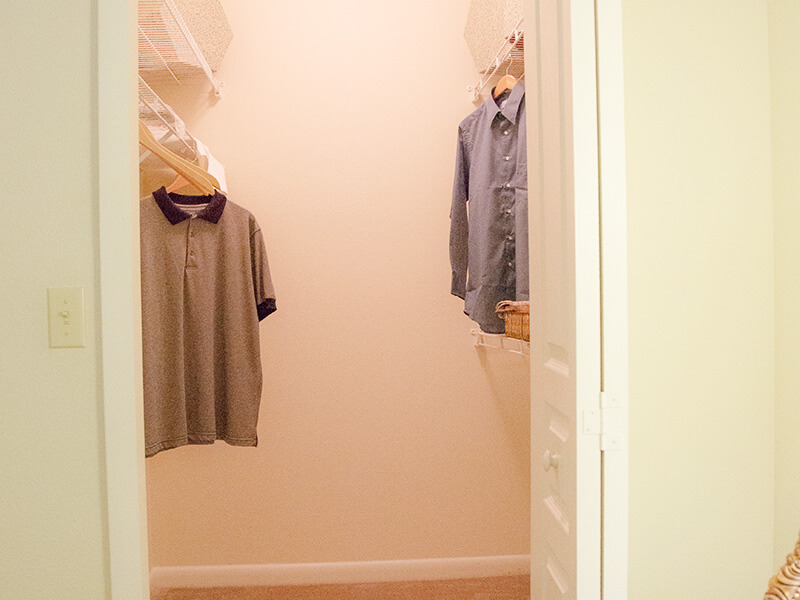 Each apartment is exceptionally spacious and includes walk-in closets as well as other storage areas. 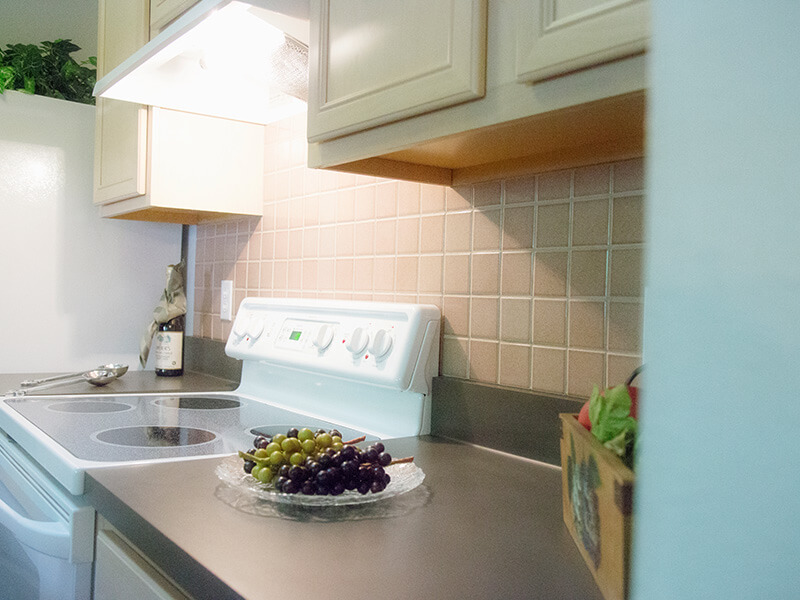 Our units boast full updated kitchens and large bathrooms, both with modern tile floors. 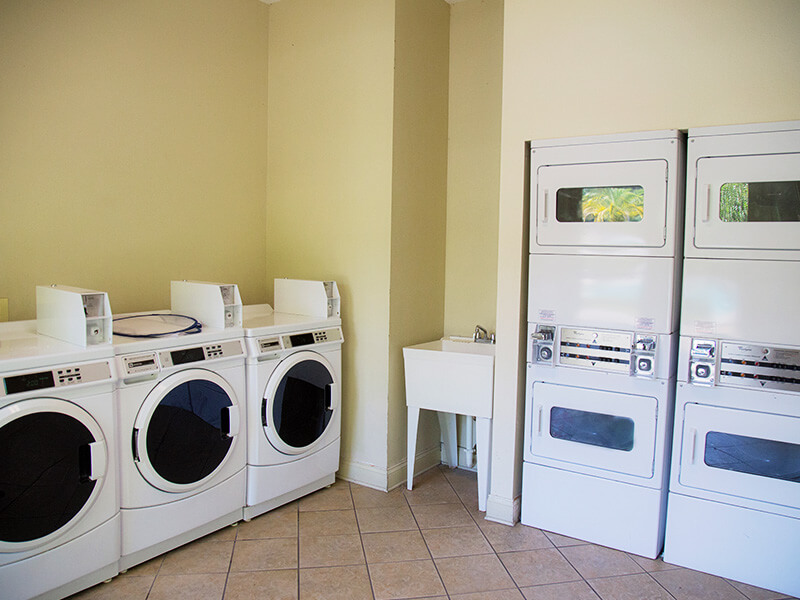 When it comes to doing laundry, our residents won’t ever need to worry about leaving our community, as each apartment features full-size washer and dryer hookups, and we also have our own laundry facility on site. 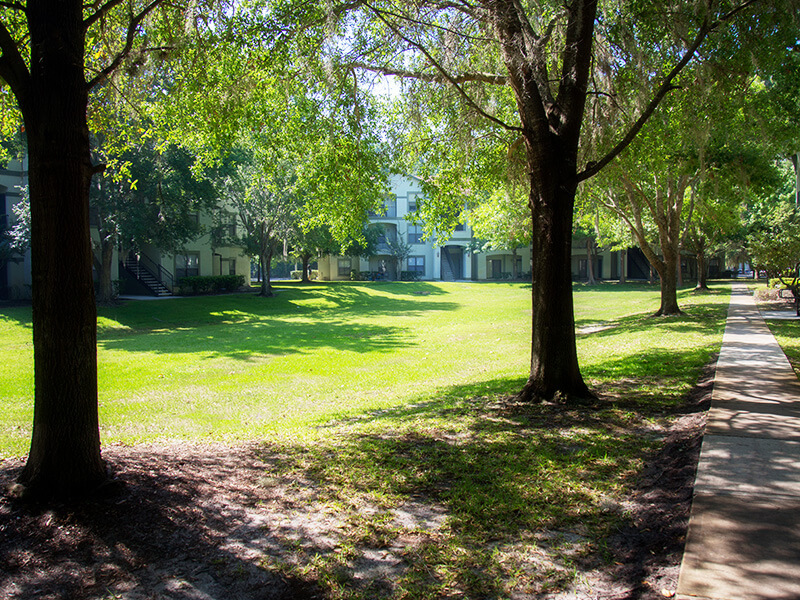 And best of all, every apartment at Bellamay Grand includes a generous patio, which makes for the perfect place to enjoy the beautiful Florida weather and our well-manicured grounds covered with lush, mature trees without ever having to leave home. 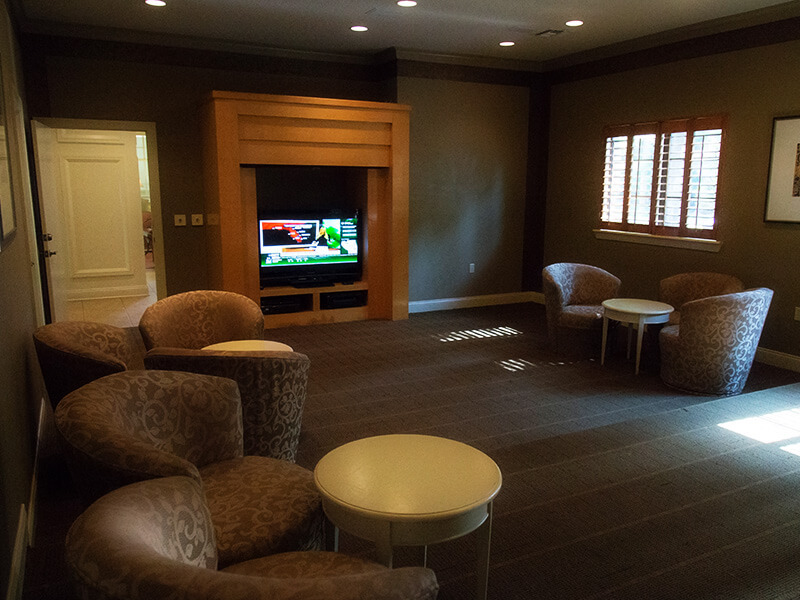 Whether you’re in Gainesville for school, work, or play, Bellamay Grand is the apartment community that can take you away from it all at the end of the day and allow you to completely relax while our on-site management and maintenance teams take care of the rest. Give us a call or stop by today. 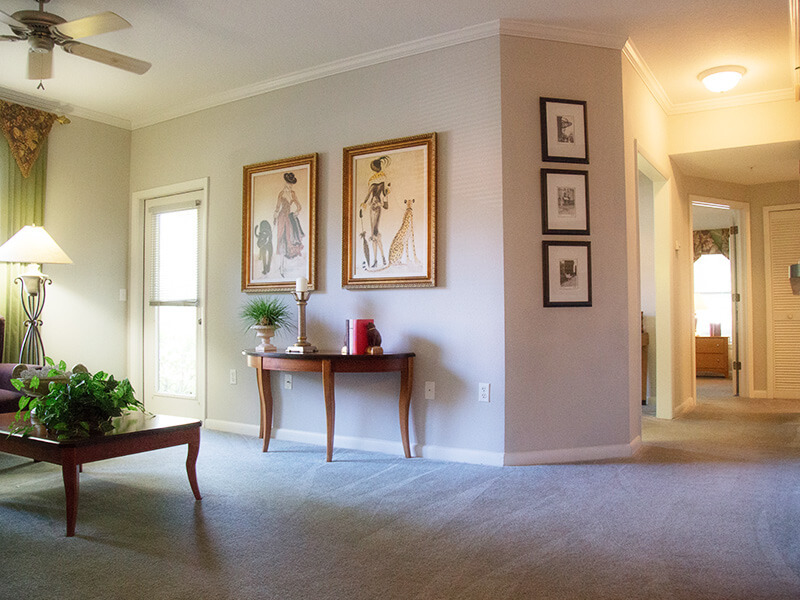 Each apartment home showcases one of three professionally designed color schemes – beige, taupe, or gray – elegant tones that are reflected in the walls, light fixtures, flooring, window treatments, ceiling fans, and elsewhere throughout the apartment. Other stylish features include 9-foot ceilings, crown molding, and wood cabinetry. 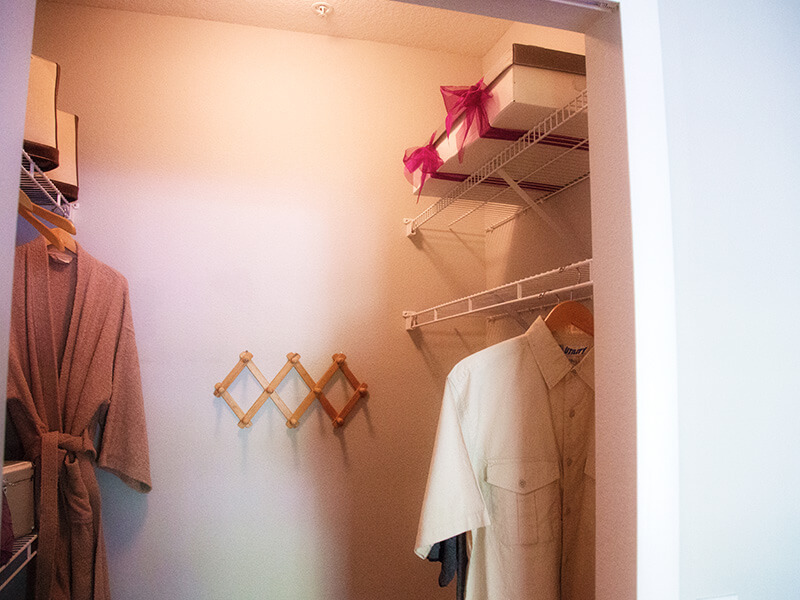 Our apartment homes offer the ultimate in convenience, too, thanks to spacious walk-in closets, roomy pantries, full-sized washer-dryer hookups, modern appliances, garden bathtubs, and sit-down bathroom vanities. 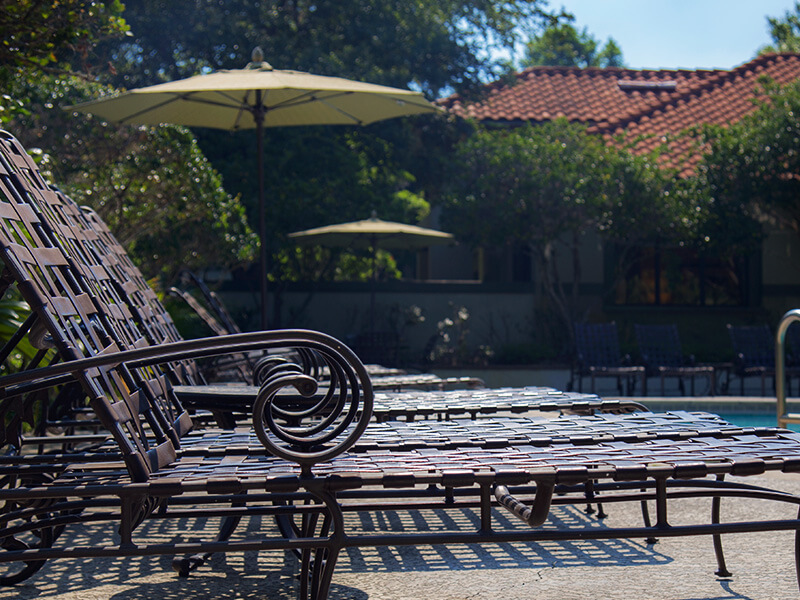 If you want to enjoy the outdoors, do so from a generous patio, the perfect spot to view our well-manicured grounds covered with lush, mature trees. 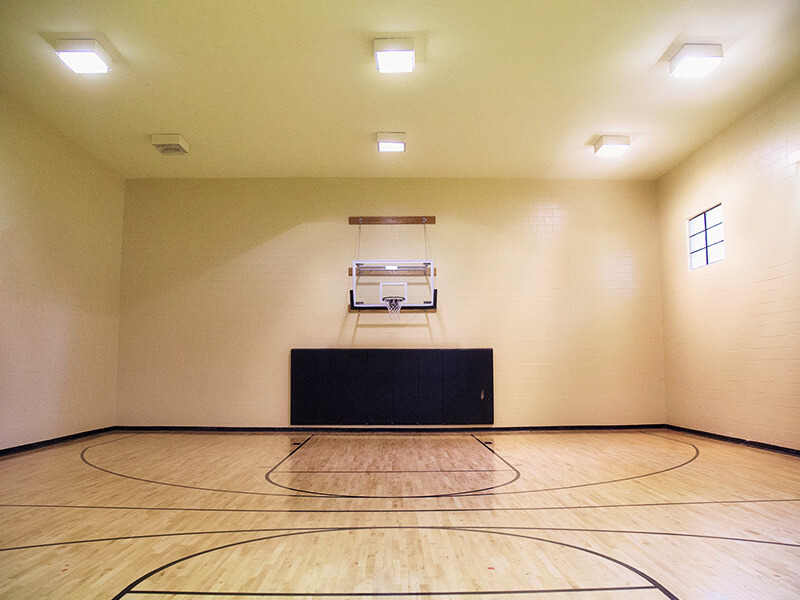 Bellamay Grand also has many community amenities that residents are welcome to enjoy including a sparkling pool, indoor air conditioned basketball court, clubhouse, business center, theater room, and more. Stop by for a tour of our gated community and see for yourself how Bellamay Grand Apartment Homes were created with you in mind. One bedroom apartments offer the ultimate in comfortable living. 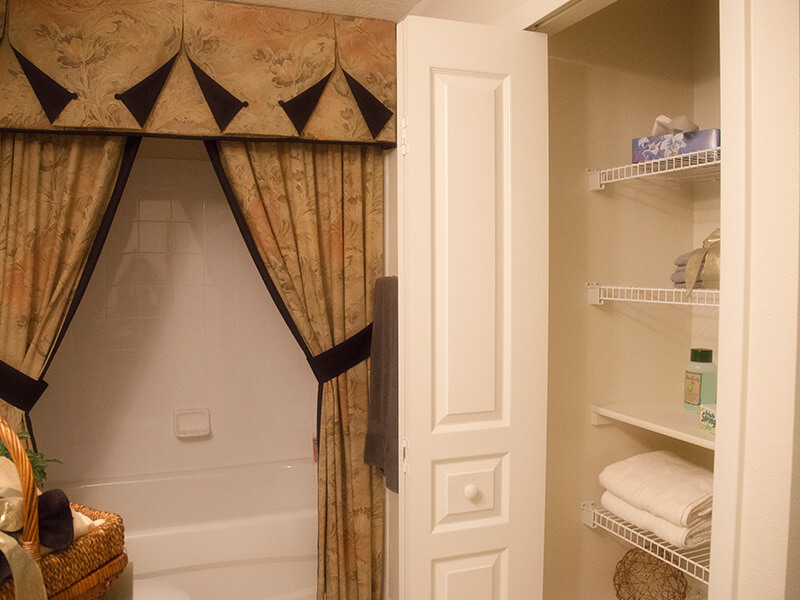 In addition to giving you superior privacy, 1-bedroom apartments are also cozy and charming. If you are searching for an apartment in Gainesville, Florida with one bedroom, you should stop by Bellamay Grand and see what we have to offer. 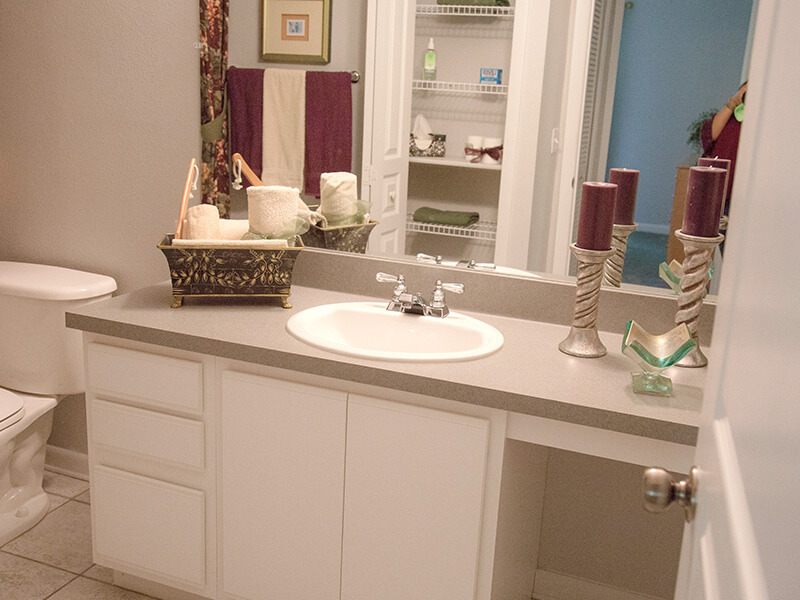 To assist you in finding the perfect one bedroom apartment in Gainesville, Florida, Bellamay Grand has two different floor plans to choose from. 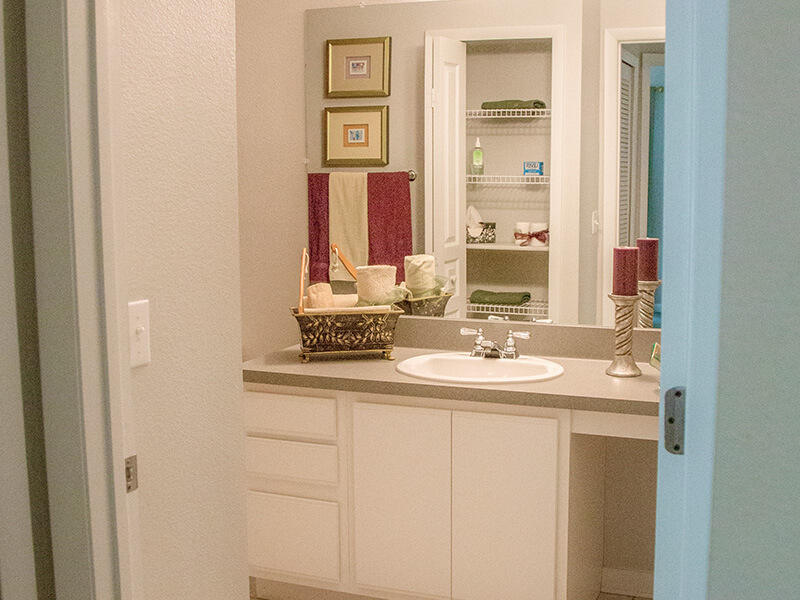 Our one-bedroom, one-bath floor plan is a spacious 782 square feet. This 1-1 floor plan also boasts its own laundry hookups, walk in closet, patio, extra storage space, dining area, and updated kitchen. 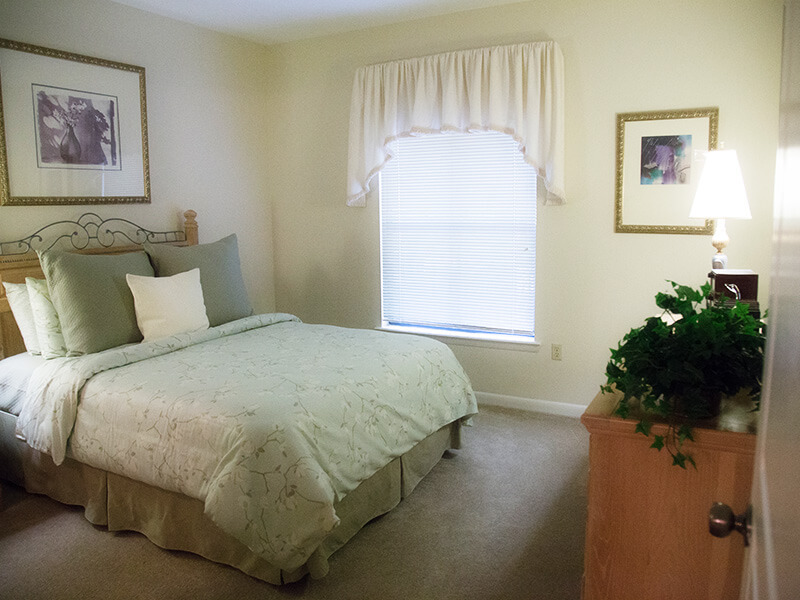 One bedroom apartments with dens offer the superior privacy, comfort, and space many people need. 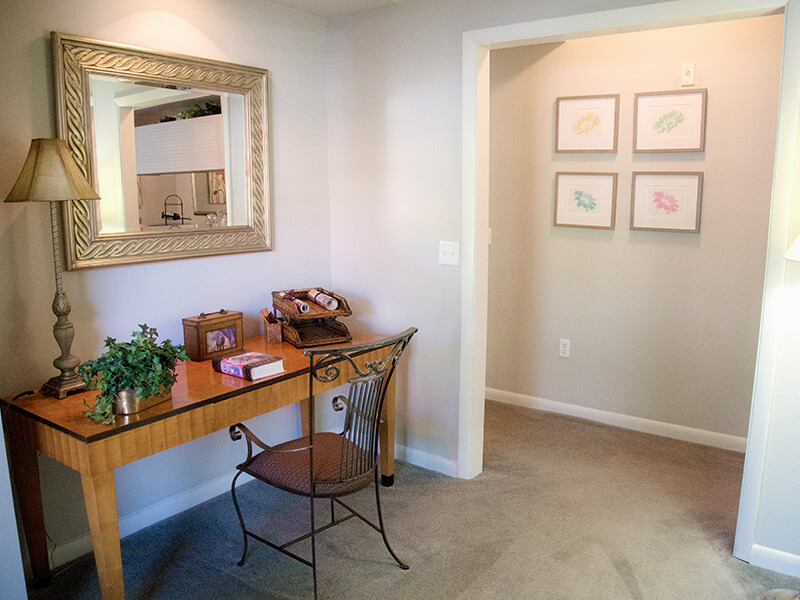 If you’re looking for a spacious one bedroom apartment in Gainesville with the extra space you need to create a home office, theater room, game room, or even just a quite space to relax, consider living at Bellamay Grand. 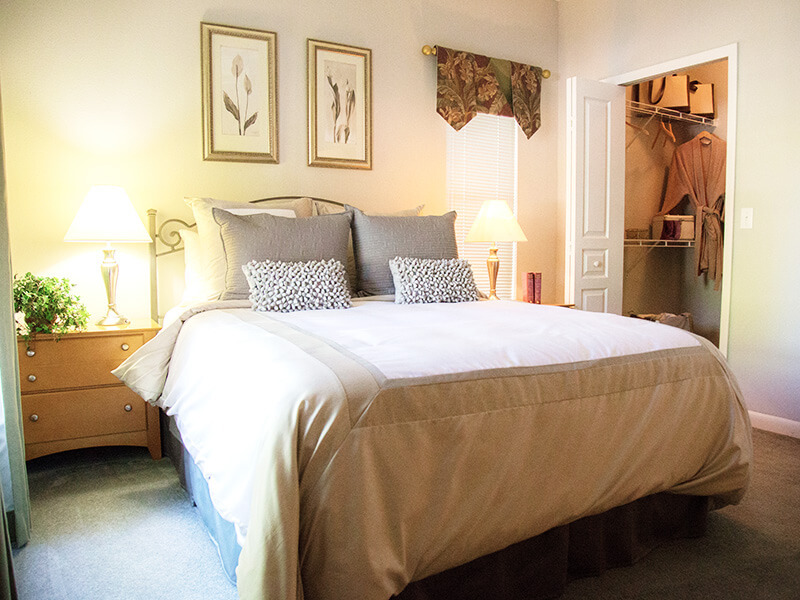 Our one bedroom apartments with dens offer 875 square feet of space so you’ll have plenty of room to create your perfect home. This floor plan includes several features such as a full-sized washer and dryer hookup, a walk-in closet, private patio, extra storage space, tile floors, a gorgeous kitchen, and more. We also have 782-square-foot one bedroom apartments available with these same outstanding features, as well as two bedroom and three bedroom apartments. Space is something you can almost never have too much of, and this is especially true when it comes to living space. 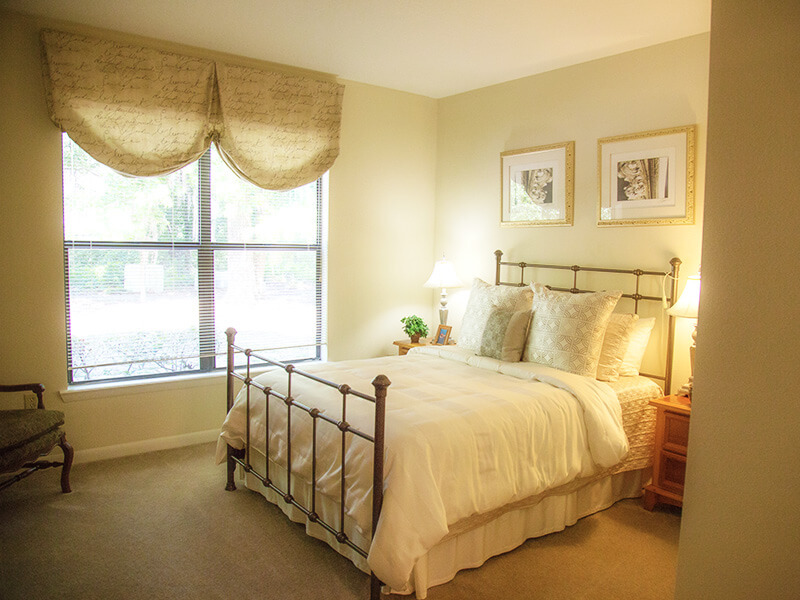 For those residents wanting apartments for rent in Gainesville, Florida that provide some extra elbow room, check out the beautiful three bedroom apartments we have available at Bellamay Grand. 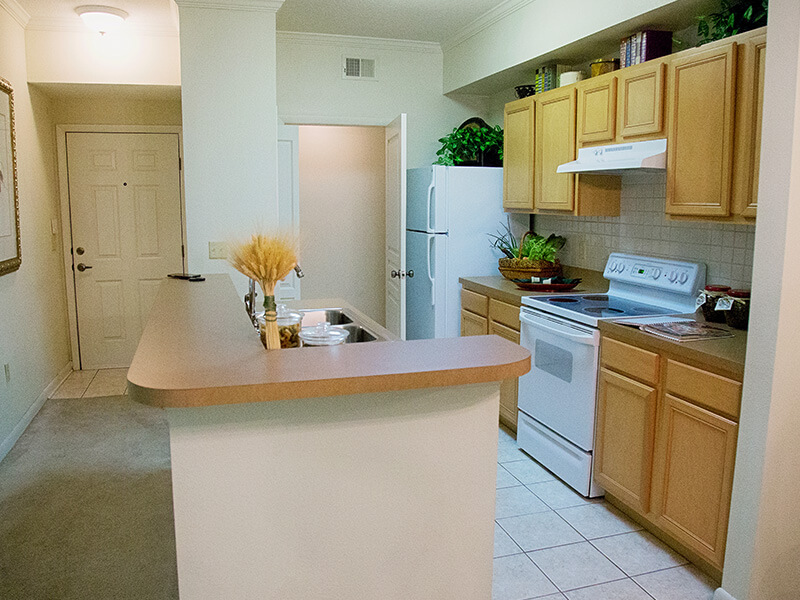 Our 3-bedroom, 2-bath apartments for rent in Gainesville, Florida come with an amazing 1,404 square feet of living space. 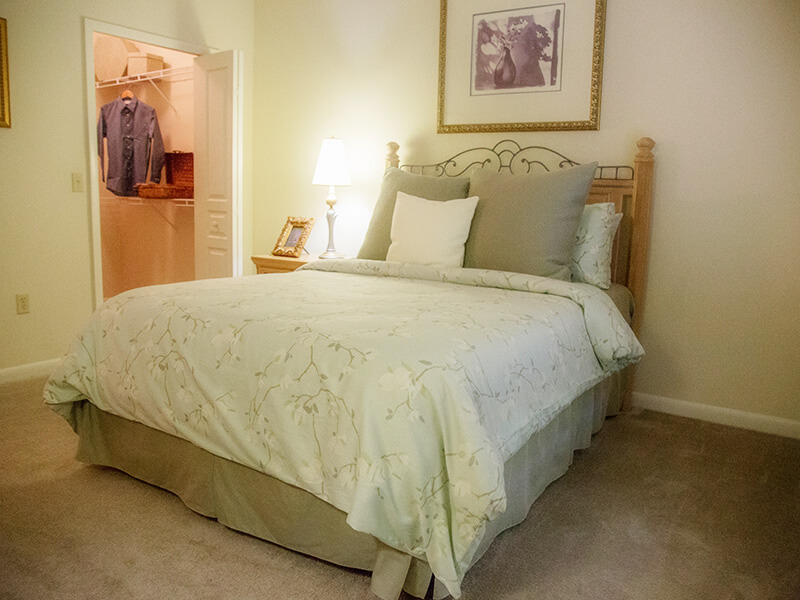 The master bedroom includes a walk-in closet, bonus closet, linen closet, and its own oversized full bathroom. 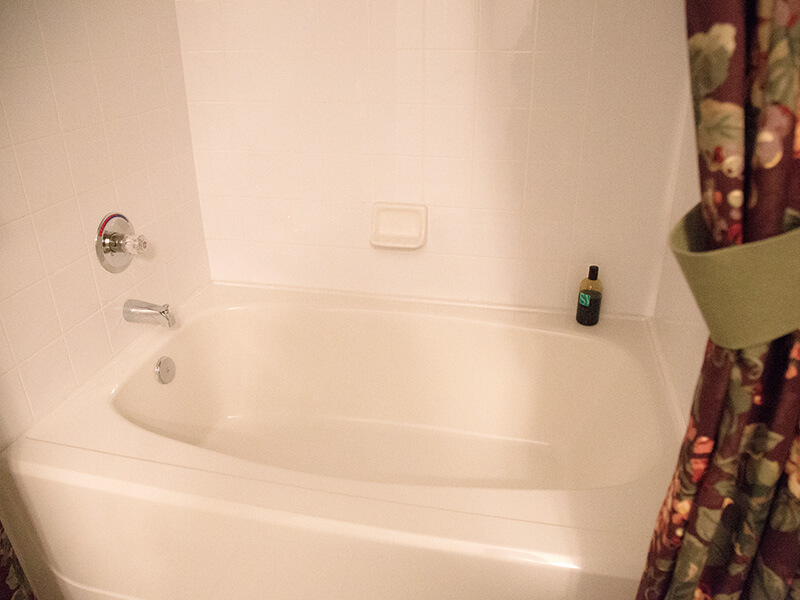 The other two bedrooms have plenty of space, too, and this floor plan also has a laundry room, living room, dining room, and patio with an extra storage closet. The updated kitchen is luxurious as well; it comes equipped with top-of-the-line appliances, tile countertops, tile backsplash, and large wood cabinetry.